The band Earth, Wind & Fire defies categories and even the passage of time — much like Colgate University. On September 22 at 8 p.m., the legendary ensemble will appear in Sanford Field House for a concert honoring Colgate at 200 Years. The university’s yearlong Bicentennial celebration officially begins September 21–23 with Homecoming and Family Weekend events, including the concert, tailgates, receptions, panel conversations, and more. Ticket information and additional details will be posted at 200.colgate.edu as they become available. An important and innovative force of the 20th century, Earth, Wind & Fire has recorded eight #1 R&B singles and eight double-platinum top-10 pop albums since its founding in 1969. The group has earned more than 50 gold and platinum albums and sold more than 100 million albums worldwide, securing its place as one of the best-selling music groups of all time. 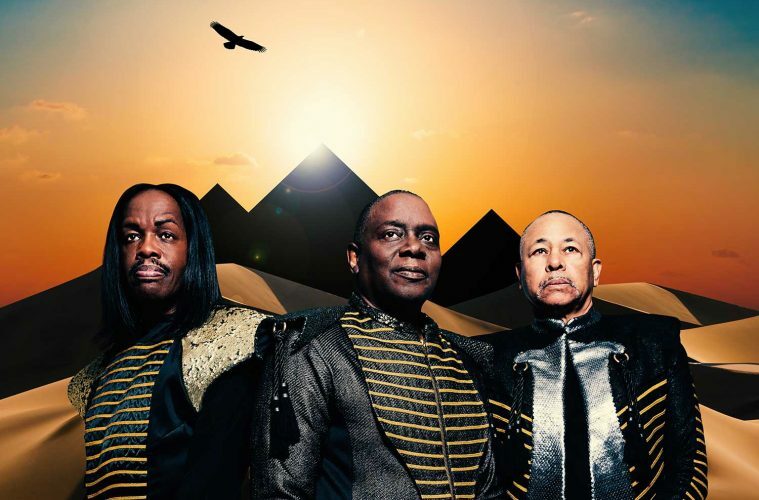 Earth, Wind & Fire was inducted into the Rock and Roll Hall of Fame in 2000 and received the National Academy of Recording Arts & Science Lifetime Achievement Award in 2016 — the group’s ninth Grammy. The ensemble has also earned Lifetime Achievement honors from ASCAP, the NAACP, and BET. Founder Maurice White’s autobiography, My Life with Earth, Wind & Fire, was released posthumously in 2016. The work chronicles the band’s rise and his personal journey. In April of 2014, lead singer Philip Bailey released his memoir, Shining Star: Braving the Elements of Earth, Wind & Fire. Three of the group’s principal members — Bailey, Verdine White, and Ralph Johnson — each hold an honorary doctorate from Chicago’s Columbia College. Bailey and Maurice White received honorary doctorates from the Berklee College of Music. The university’s Bicentennial kickoff weekend is just the first in a series of events that will be held in Hamilton, N.Y., and around the country through December 2019. Those who are unable to return — or to attend events in their area — can engage with the community at 200.colgate.edu.